3 for Intelligence: 1 year Anniversary!!! With a raffle! 1 year Anniversary!!! With a raffle! 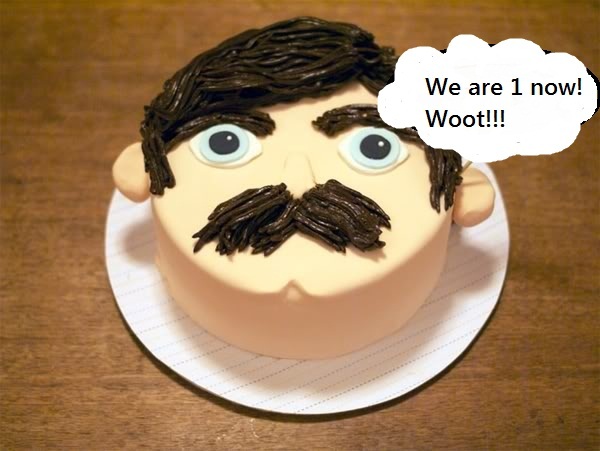 It's been exactly 365 days since Dok, myself and our friends decided to rekindle the idea of blogging. I had 2 posts here before that and now 250 posts with 37 followers and nearly 50,000 page views. It has been quite a journey, but its not over yet. We have give-aways galore on this day of festivities! So here is what we want to do. We are going to raffle off a $20.00 gift card from www.Amazon.com. You might of heard of them, they sell everything including 40k stuff!! We will do the raffle when we get up to 50 followers. 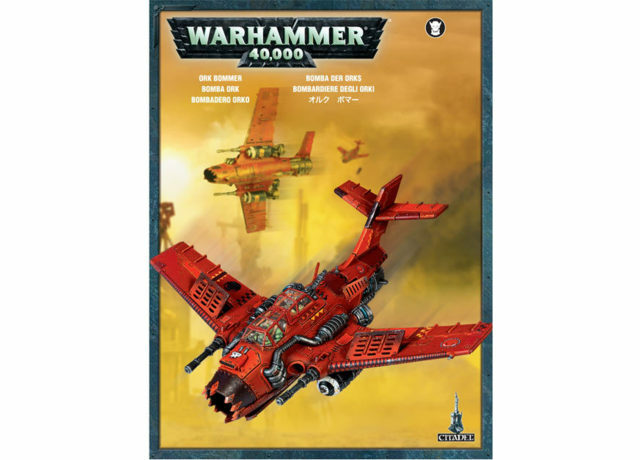 If we get to 100 followers by the end of the month (June) we will also raffle off a Ork Bommer Kit! What's better than an a Bommer? A FREE BOMMER!! Now spread the word and lets make year 2 of 3forint as awesome as the first!!! Free Stickers, Amazon Gift Cards, ORK BOMMERS!! What else can go right today? Well for anyone that doesn't want to enter, I have this small gift for you. 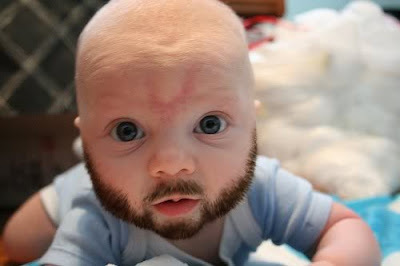 Baby with a beard is HILLARIOUS! Thank you all for making this all possible. There wouldn't be a blog if we had no readers and we really do appreciate all the feedback we get here on the site. How did you get that pic of me? 6th psychic powers: Could be good? 6th Edition Orks - Battlewagons are better!! Eldar in 6th edition, a ray of hope? Awesome goings on of awesomeness! Potential Dark Angels codex cover leak?? ?